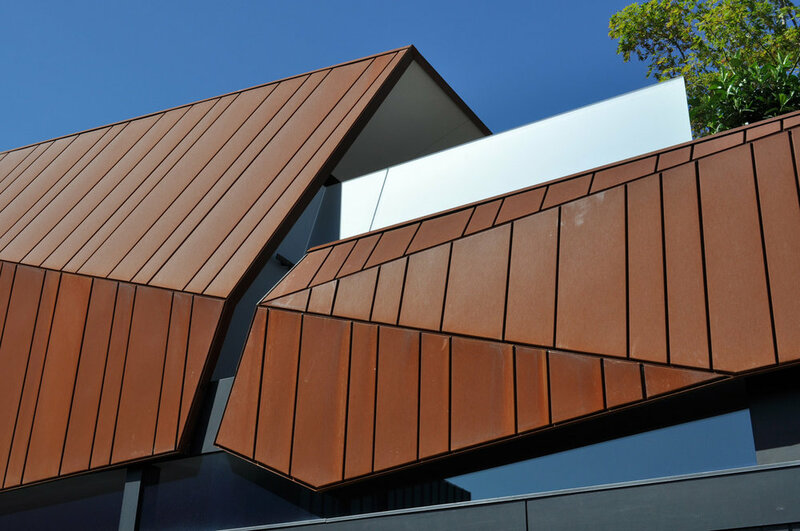 Archclad Single-Lock Standing Seam in Colorbond 0.55mm Monument Matt material. Project specifics include Concealed box gutter. Roof/ Wall junction detail with no visible parapets. What a stunning project to be involved with. Material/ System: 0.7mm VM Zinc Anthra material in our Single - Lock Standing Seam system with concealed capping detail. 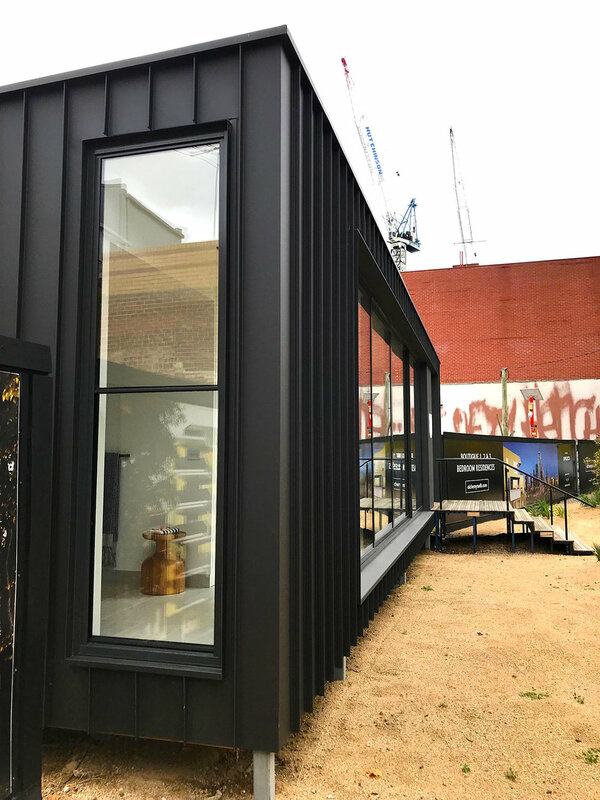 Project Specifics: 10.0mm Aluminium Shroud powder coated in Dulux Black Ace. Supplied and Installed by Archclad. 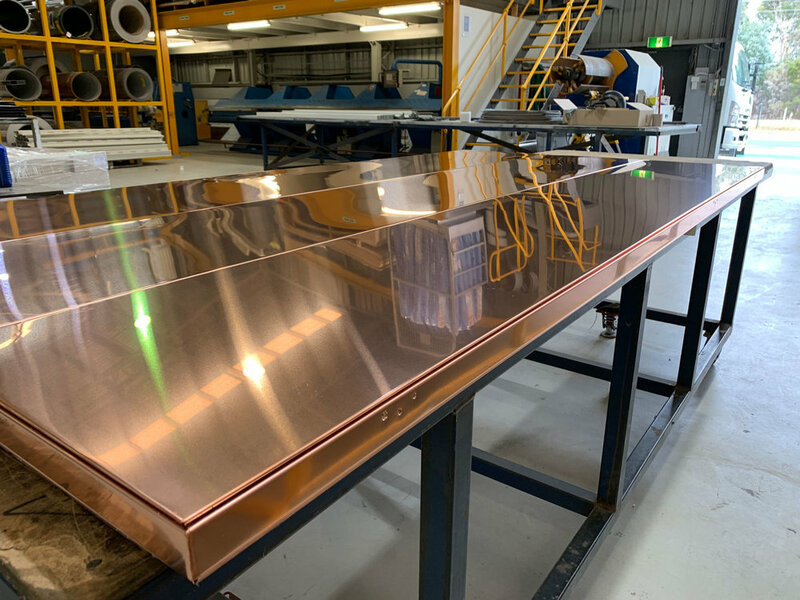 0.7mm Mill finish Copper front door. 100 % hand made with vertical orientation flat-lock panels. No visible fixings and a very happy client. Contact us today for any customised doors or Interior metal applications. Custom 1.5mm Corten laser cut cassette panels to main façade. Entry Area 1.0mm Powder coated Aluminium to match weathered Corten Colour. Set out and design completed in house by Archclad. 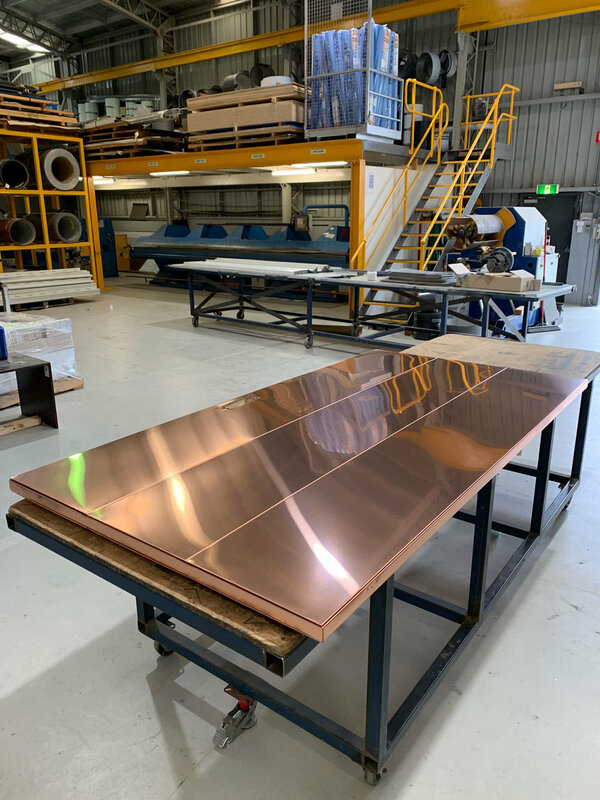 Custom Corten Express Panel in variable widths 192mm, 292mm and 392 + 15mm panels. All panels raked and angled in house at our Notting Hill factory. 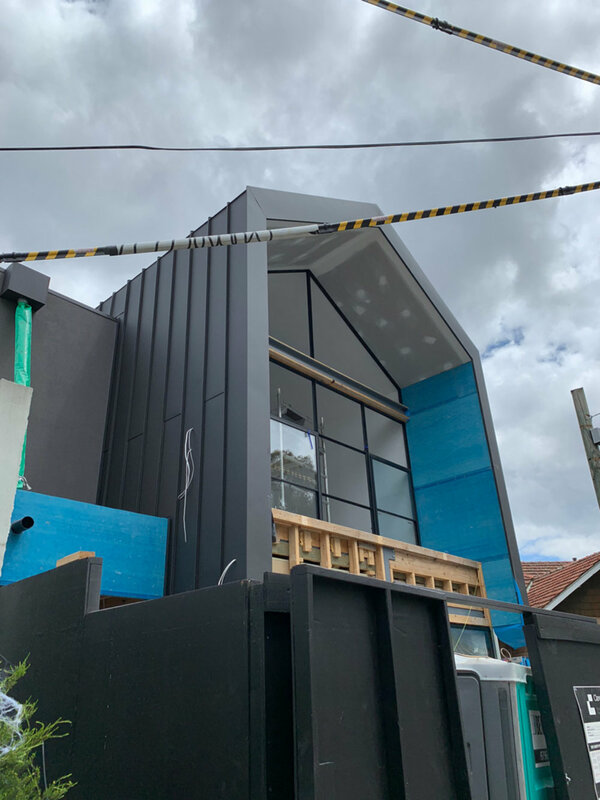 Window shrouds 10.0mm mill finish Aluminium wrapped in Corten material. Project proudly supplied and Installed by the Archclad team. 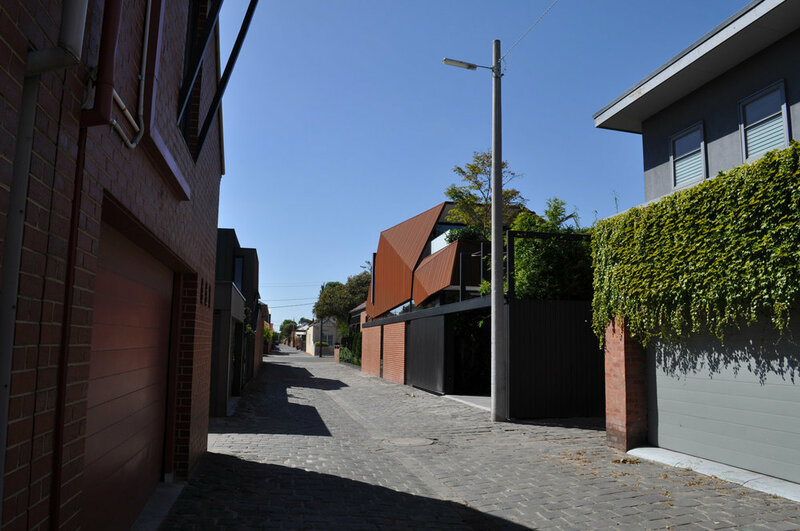 Archclad involved project wins this year's Marion Mahony Award! At this year’s awards ceremony we were awarded such an honour for our Interior Architecture - the Marion Mahony Award - for the renewal of Our Lady of Good Counsel Church, Deepdene. Material – 0.7mm KME Oxide Copper. System - Custom 223+ 15mm Interlocking Express Panels. Custom Flat-Lock panels to entry Archway. Supplied and Installed by the Archclad Team. Builder – Ireland Brown Constructions. Concealed Box Gutter with seams flowing from the walls to the ridge. Architect - Studio Seven Design. 0.8mm PVDF Light Bronze Aluminium to upper level and Garage door. System: Single - Lock Standing Seam. Supplied by Archclad. 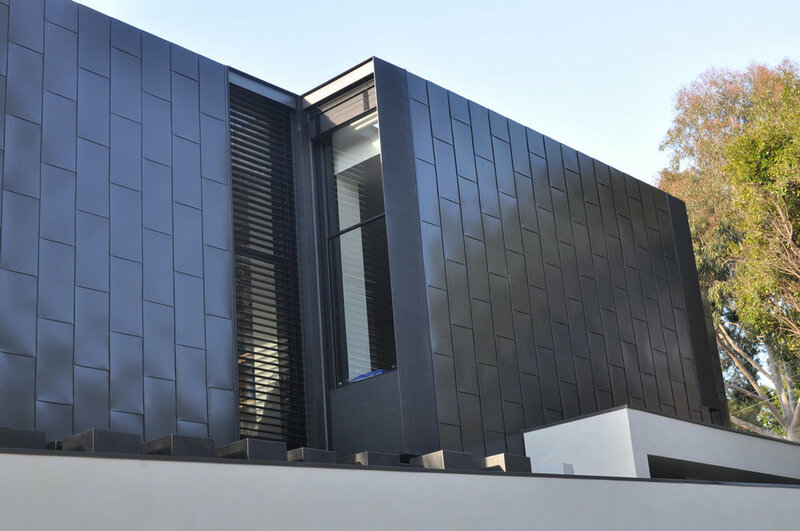 Installed by Concept Cladding. 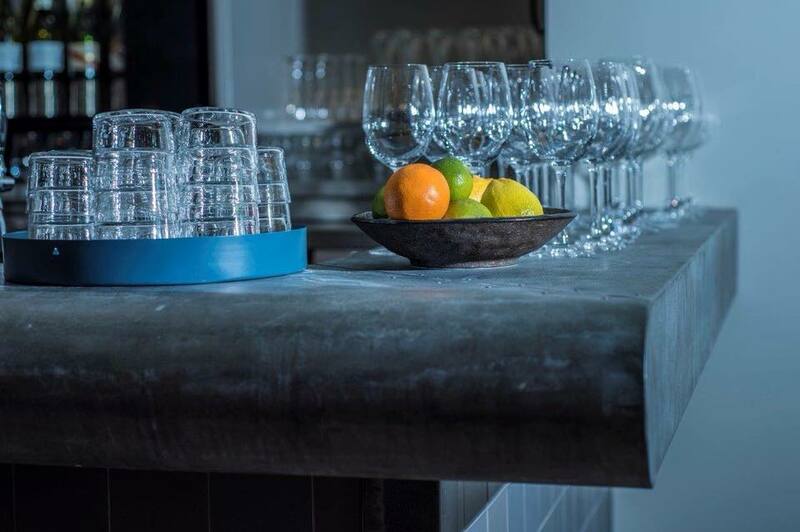 Project features our Cliptray 48 system in variable widths. 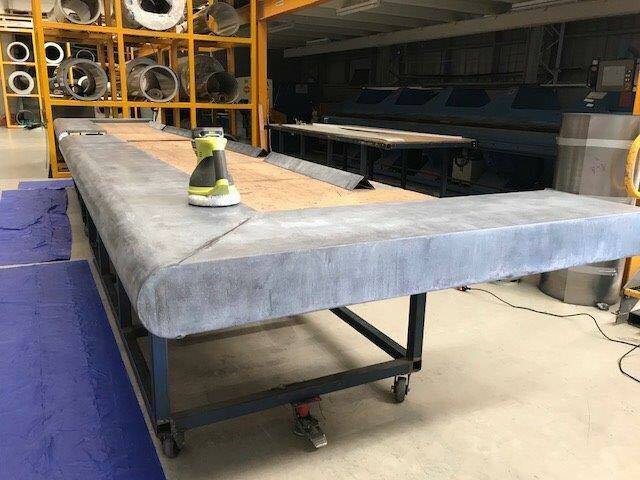 Handmade custom 150mm bullnose bar top in raw natural Zinc. All Soldered corners, Patina finish and bronze nails done by hand at our Melbourne premises. 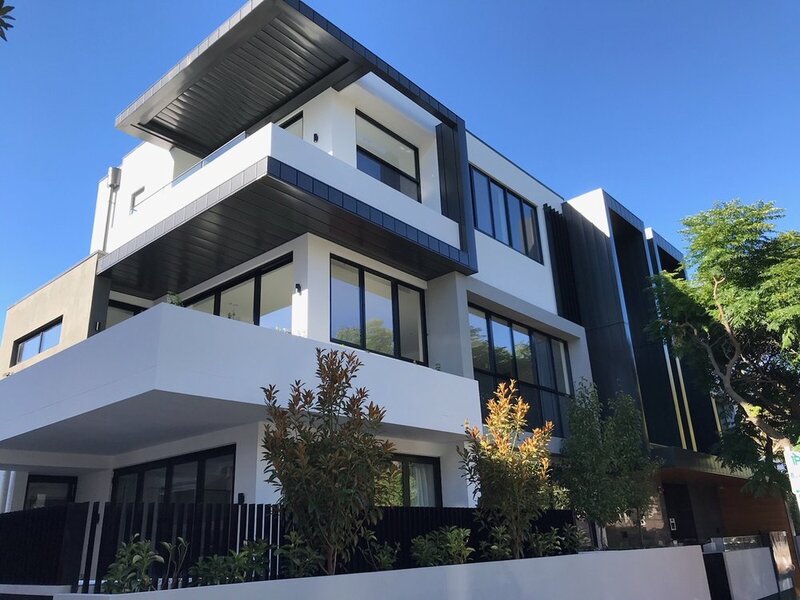 Project features our PVDF Charcoal Black Aluminium and PVDF Cirrus White Aluminium. Custom Flat – Lock panels with concealed capping detail. Proudly Supplied and Installed by Archclad. Material : 0.8mm PVDF Satin Black Aluminium. Profile : Variable width Cliptray 48. Profile : Variable width Single – Lock Standing Seam. PVDF Patina Grey Aluminium in custom Flat – Lock Profile. 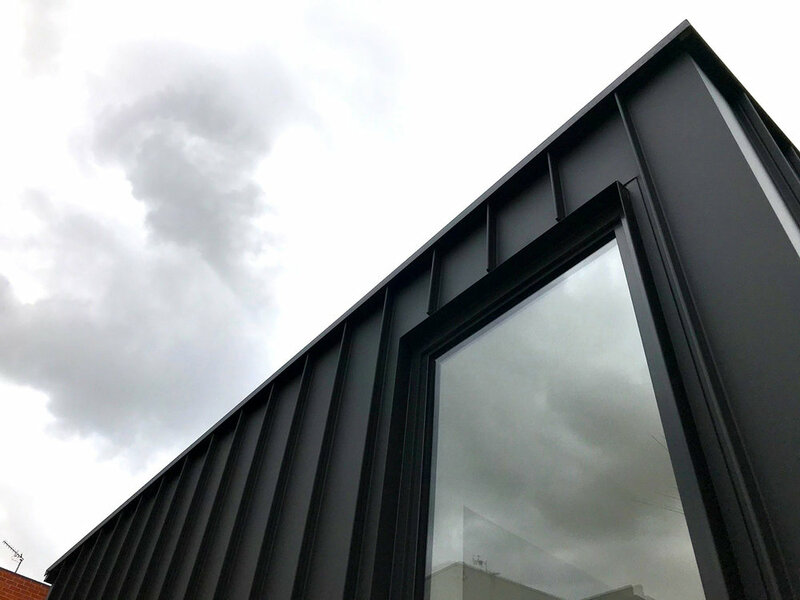 Due to the close proximity to the sea and a more demanding costal environment we recommended the builder opted for 0.8mm PVDF Satin Black material carrying our 20 year warranty against fade. Material : 0.8mm PVDF Satin Black Aluminum. System: Single – Lock Standing Seam. 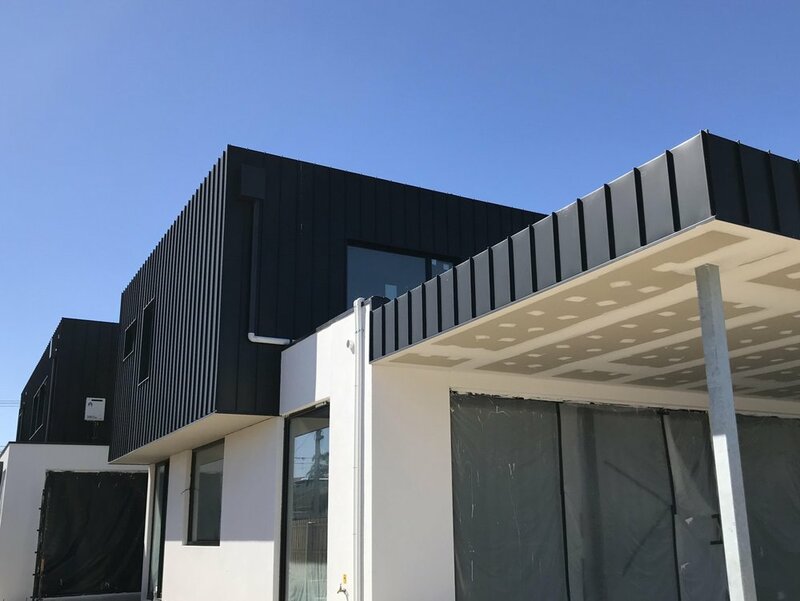 A finished look at Mernda Police station. A new 10m new station in the growth corridor of the City of Whittlesea. 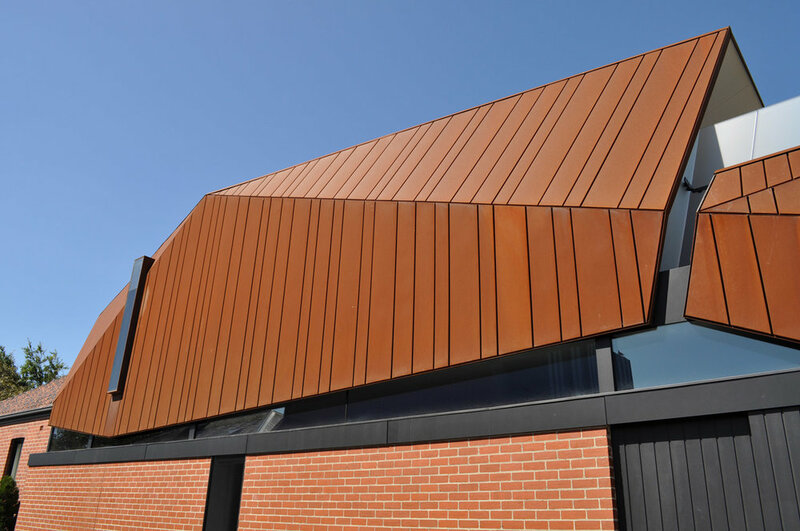 Project features our Express system in custom perforated Corten and PVDF Satin Black Aluminium. Architect - Six Degrees Architects. 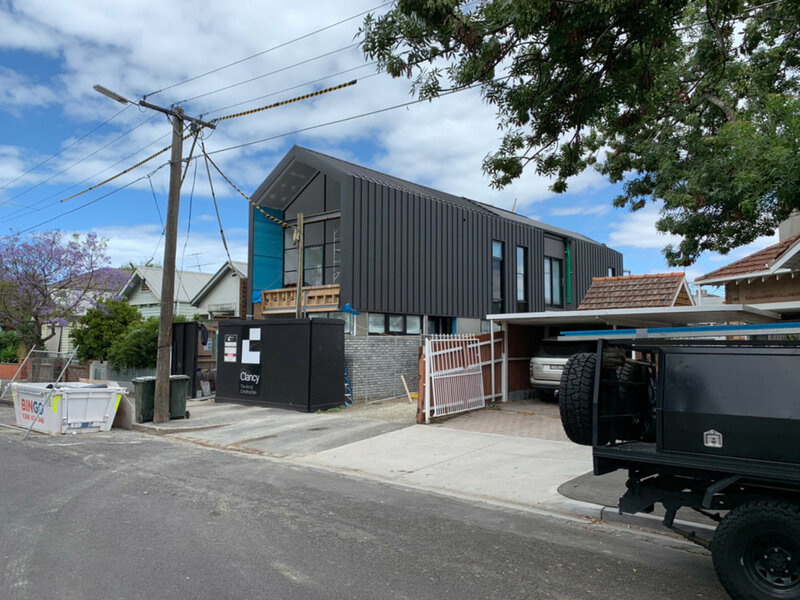 Lovely medium rise residential Apartment building situated in the heart Brighton, the scaffold has just come down to unveil a beautiful exterior colour palate. 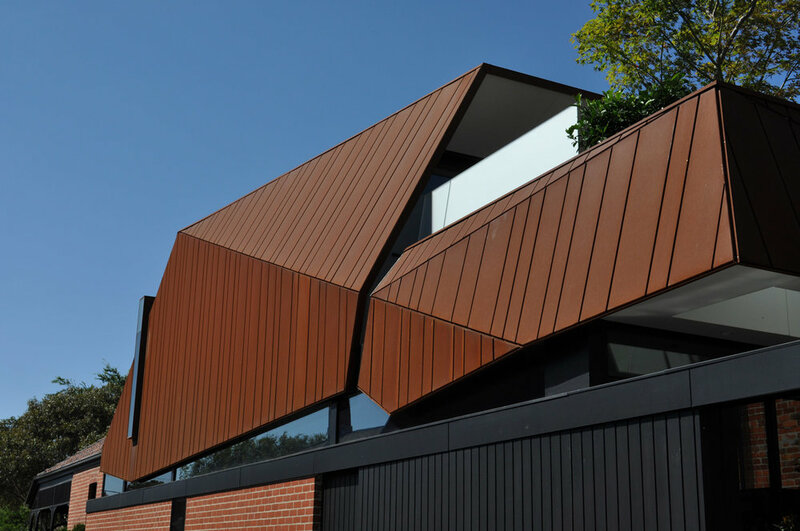 The project features our popular Express panel system in Colorbond Monument. Fantastic effort by our installation crew and the Lowe Group. Alchemy Display suite. Peel Street, North Melbourne. Profile – Archclad Cliptray 48 in standard 278mm panels. Material – Colorbond Matt Monument. Material - 0.8mm PVDF Satin Black Aluminium. Profile - 292 + 15mm Interlocking Express Panels. Project specifics: All corners mitred, foam inserts inside Express panels. Garage door in conjunction with Dandenong garage doors, frame supports at 450mm to allow for easy installation of Express system.